Navigation apps are a dime a dozen, with many simply sitting on top of Apple Maps or Google Maps. However, there’s a very effective alternative out there - Waze. 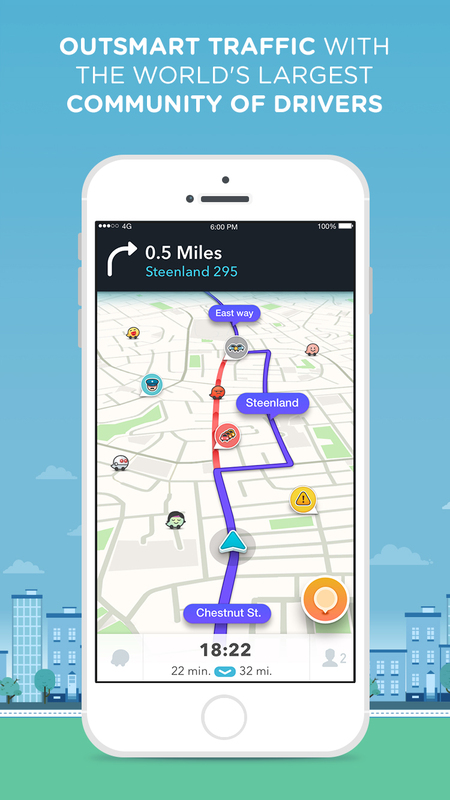 The tagline for Waze sums up the app with a simple message: outsmarting traffic, together. This is achieved by the app by using a community-powered GPS and navigation system, offering real-time traffic information and road alerts as reported by other users on the road. These alerts can be anything from a police presence, speed or traffic light cameras, objects on road to vehicles stopped on the side of the road. We’ve also found these warnings are very accurate, but you can easily click a thumbs up button to confirm and thank the user who reported the road alert, or click that the alert is no longer relevant. As an example, if police have moved and no longer stationed by the roadside. The app also re-routes you to quickest option based on other users speed on certain roads making the real-time results as good as can get when re-routing around busy traffic. Using the ‘Get Me Home’ or ‘Get me to Work’ options you can set locations for a rapid search of your fastest route to home or work. You can also set waypoints enroute such as restaurants, shops or petrol stations. When it comes to petrol stations Waze will also provide you with the nearest petrol stations and the price of petrol there. In the Waze settings you can also set up various preferences such as navigation voice and language, mapping and navigation preferences (3D map always facing north for example). You can also set up what type of petrol you use so petrol stations enroute will display the price of the petrol, should you need to fill up. Whilst Waze is a very accurate traffic information app with a decent enough mapping user experience, it isn’t as feature-rich as Google Maps or Apple Maps that display buildings around your route. Another small issue is that sometimes Waze will show a pop-up (when stopped) of an advert for something local nearby (usually food and shops) which can be a little distracting, particularly when driving. A great alternative to the other apps, offering a lot more in the way of navigation options and alerts for various road problems.